Enjoy the rich sounds of steel played in an authentic Caribbean vein that will make your occasion that bit more wonderful. The Star Rhapsody Steel Band was founded in 1982 and have performed throughout Britain, Europe and The Mediterranean. The Band is made up individuals who come together to create really pleasant yet dynamic musical entertainment according to the requirements of the occasion. Performances at all kinds social function, from the local School Fete to the Glastonbury Festival and The Nottinghill Carnival have underpinned the excellence and versatility of the outfit. Did you know that the Steel Drum was the only instrument to be in invented in the 20th Century? Well you have the opportunity to sample the wonderful sound that is Steel Band music when you hear the Star Rhapsody Steel Band. Available as a 6 piece or 3 piece combo unit with solo performances available by special request. We look forward to meeting and entertaining you. 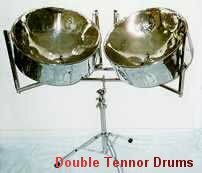 The steel pan, the tuned steel drum, is one of the few genuinely novel acoustic instruments invented in the twentieth century. Its origin is believed to be old pans or cans, used as rhythm instruments by the traditional Carnival bands of Trinidad & Tobago in the 1930's. During its 50-year history the steel pan has evolved from a multi-pitched percussion instrument to the mellow-sounding melodic-harmonic fully chromatic instrument of today. In the traditional Caribbean Carnival Steelbands all the melodic and harmonic functions are held by steel pans - the only other instruments that participate are percussion instruments. 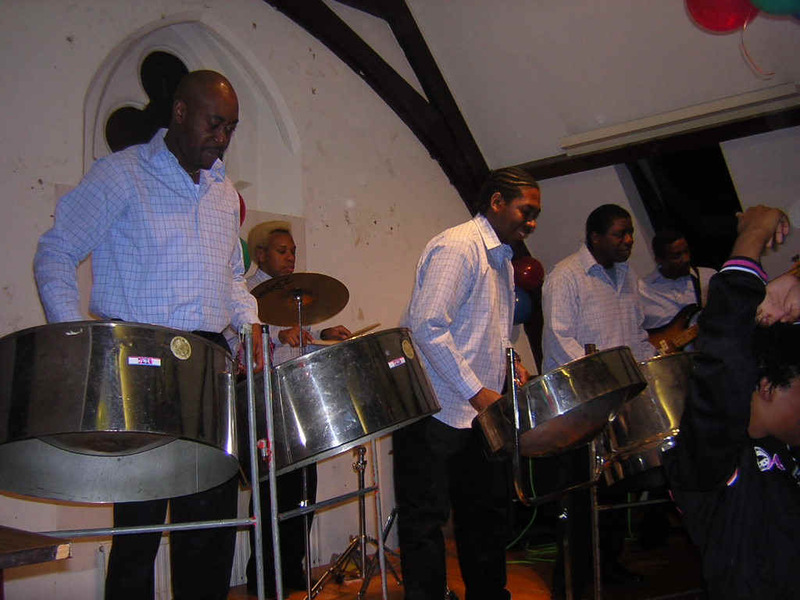 A steelband can consist of up to 100 players, forming about ten to twelve different instrument groups, ranging from bass to soprano line, together covering a tonal range equal to a any conventional instrument.